Well, yes this may look like an allegorical headline here but in my view it’s almost a necessity, for an expat looking for a Private Turkish Course, of which the instruction language is to be in English. Please read on to understand why? Don’t just take my word for it and read my clients' comments! I thoroughly enjoyed my Turkish lessons with Saner. He used a wide variety of exercises and methods and classes were never monotonous or boring. There was a healthy mix of grammar, reading, conversations and discussions and except for the grueling homework, lessons were always challenging but fun. Saner was also very flexible which made it easier to combine work and Turkish classes. I had the opportunity to study the basics and the daily handy conversations of Turkish with Saner during my settlement in Istanbul. His patience, consistent and persistent methodology, I think what made him an indifferent teacher. His knowledge of Turkish Business and Sports environment helped me a lot as well. He is a good friend now whom I see from time to time and enjoy his company. We’ve had the chance to work with Saner, during the implementation of perception survey study that I was doing for the managers of my corporate clients. He jumped in and created the solution quickly where there were some time constraints. I’ve used his translation experience a lot. His works were also appreciated by the client side and we haven’t face any complaint about the work but admiration. I know him for a long time now and when the needs be, generally in a last minute, he comes to rescue fast and quickly finds the solutions and implement it the proper way without compromising on the quality. I will definitely not hesitate to use his services in the future. I also did some Turkish course with Saner and it was an extraordinary experience. He did a lot of extracurricular activities like going to a super market and showing me the real-life situation of Turkish shopping experience. This was very useful as I was doing the family’s shopping all the time. We even studied the lyrics of a famous Turkish song from Yeni Türkü ‘ Ask Yeniden’ and sung this live in one of their performance. Great times, thank you Saner. My managers, although attended and completed few English courses, were still having troubles in communication with their counterparties in Europe, especially in speaking. This is when we decided to hire Saner for his tailor made Business English services. He, with his comforting style, already knowing the troubles of learning English, encouraged my staff to try their best with no fear of making mistakes. In conclusion after a few months working with him, it was amazing to see the outcome. My staff first freed themselves of their hesitancy against English and revealed their language talents when seeing the increasing positive results. I would definitely work with him again and recommend to any business person seeking not only an English Teacher but also a motivational Business Coach. When I was on a secondment in Istanbul with my family of five, we met with Saner to learn some basic Turkish to ease our life in Istanbul. Luckily saw that he was more than a language teacher enabling us, as a family, to enjoy and know the Turkish Culture and the amazing city of Istanbul. We are grateful and feel very lucky to know this great friend. Thank you, Saner. During my stay in Istanbul Mr. Saner Yuzsuren was kind enough to grant me his time and patience in my attempt to learn Turkish. He worked with me effectively for a duration of 6 months, and thanks to his dedication and fine, adapted method I succeeded to attain a good level of understanding and grammar of the language. I really enjoyed seeing him every week, and even after the course was finished we became good friends. He is an approachable, “cool guy” with a knowledge that extends far beyond that of language teaching, and one may take full advantage of that. Now, every time I go back to Istanbul I make sure I drink a glass of wine or beer with Saner. Cheers, mate! I would like to take this opportunity to thank you for delivering a professional and very effective coaching program on the Turkish language to me. I have found your lessons very well structured and executed. In the course of the program, I have improved my Turkish by leaps and bounds and has certainly helped me both in my professional capacity and social aspects of relocation to Turkey. I have always admire your patience when dealing with my initial struggle with the language and this has proven one of your strengths which I have found has helped build my confidence and learning ability. Additionally, I would also like to extend my appreciation in the recent translation work which you have helped us in delivering the Proactive Account Management course for our Sales team. Once again, your services were very effective and had assisted in its successful delivery. I shall look forward to our continued cooperation in the near future. Saner is an excellent teacher of Turkish. He is able to bring the essence of Turkish language down to simple, easy to learn structures. He motivates his students and is patient. And finally, coming from a business background himself, he has a keen understanding of doing business in Turkey and Turkish. Always thinking multiple steps ahead, Saner helped me from an objective point of view to take the necessary actions to move forward. His strength is to help people think beyond their own frame of reference and come with innovative solutions. Not only Saner is a proficient Turkish teacher but also a life coach: being a French expatriate in Istanbul, he provided me with some useful hints about the local culture that definitely accelerated my settlement process. I can honestly and with great pleasure recommend Saner to anyone who wants to learn the Turkish language. I followed an intensive Turkish language course and am very pleased with the results. Turkish being a rather complex language for westerners, Saner however managed to decompose the learning material to manageable bits. He has excellent teaching skills as well as a great sense of humour. I will continue using his services in the future. Saner proved an excellent choice in language training. Not only does his company provide great and practical language training, but also a valuable insight into the new country and tools and tips to acculturate. This is invaluable service for a newly arrived expat. 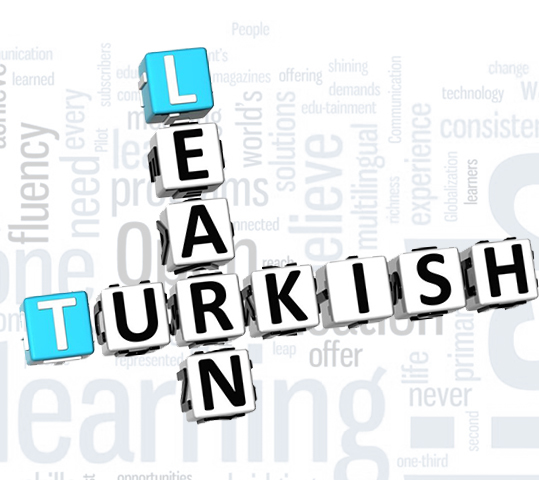 The learning methodologies are highly practical and therefore bring excellent results, especially in a language as complex as Turkish! Saner is also a highly personable and dedicated person; this translates into tailor-made and targeted solutions to the specific needs of individual customers. This combination makes the language training and inception experience very valuable. I would definitely recommend Saner’s services to any expat professional located in Istanbul. Please enter the English word to learn the Turkish equivalent.